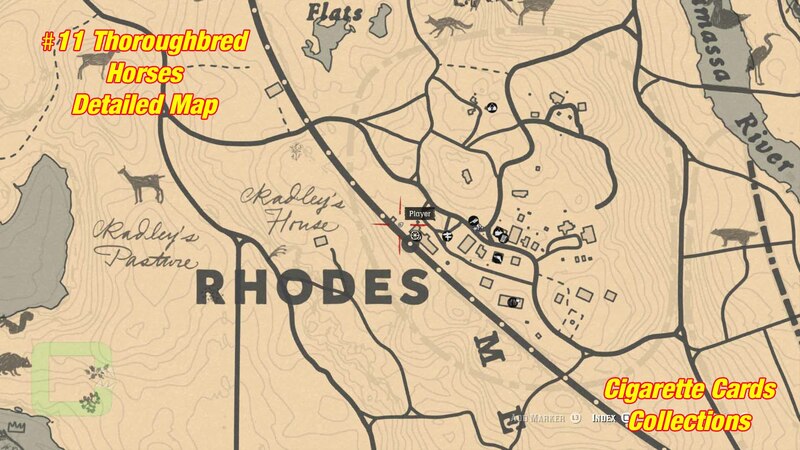 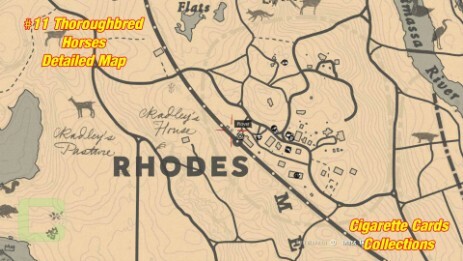 The card is located in Rhodes. 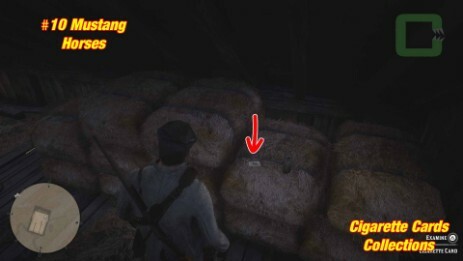 At the Gray Woolen Mill. 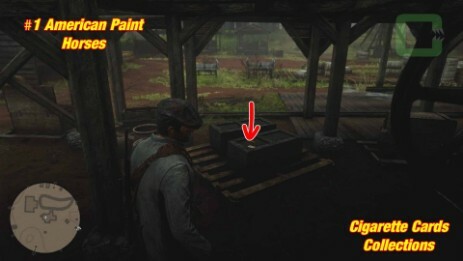 It's at the bigger building, ground floor on a box next to the industrial turning wheel. 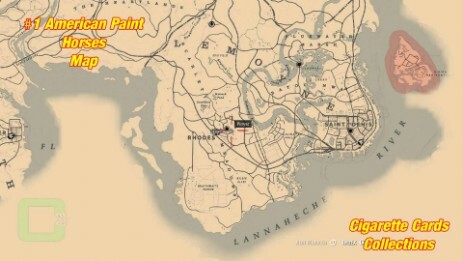 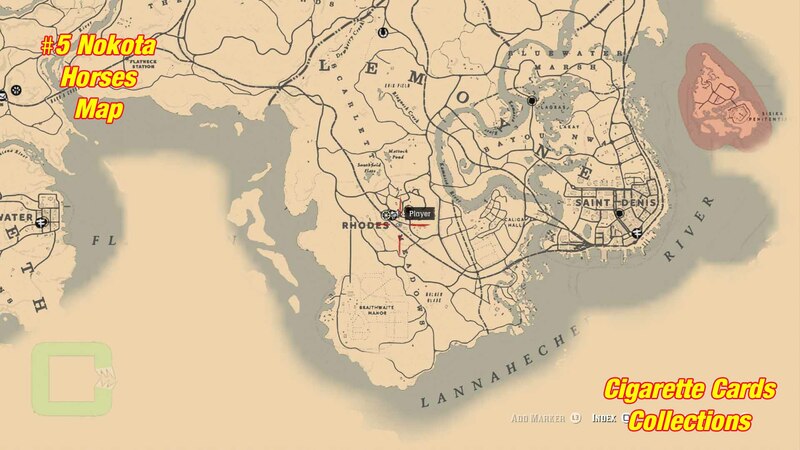 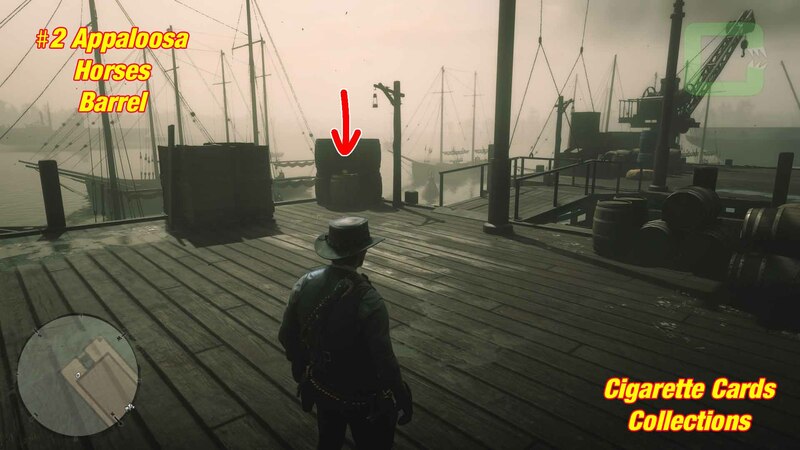 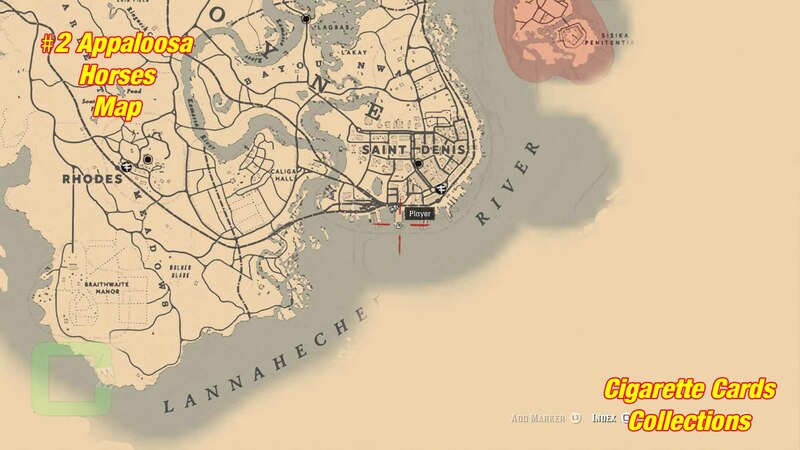 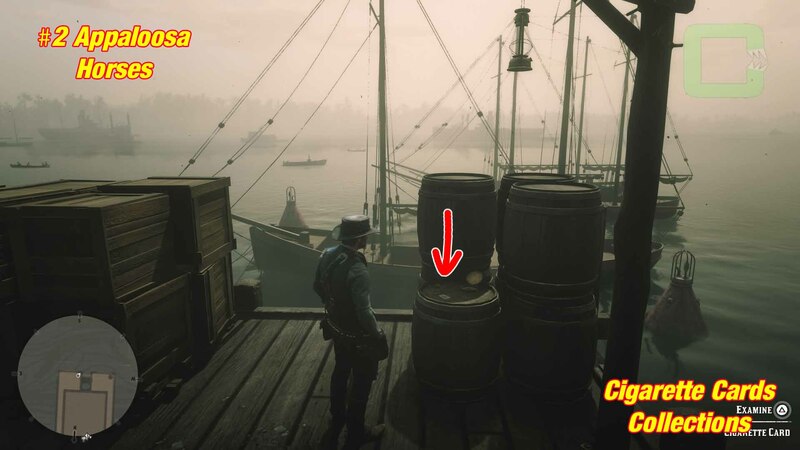 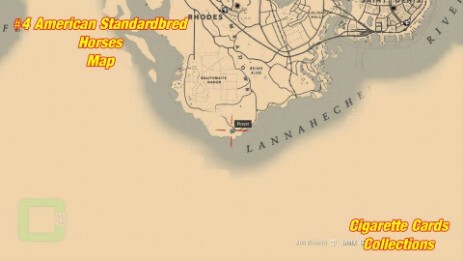 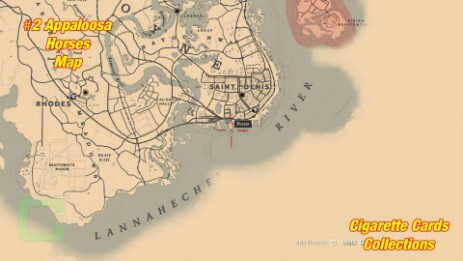 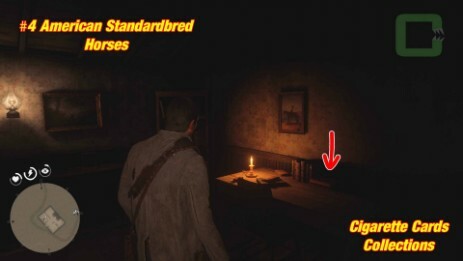 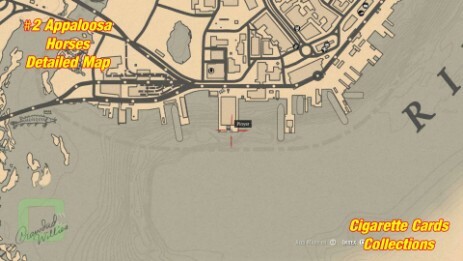 The card is located in Saint Denis. 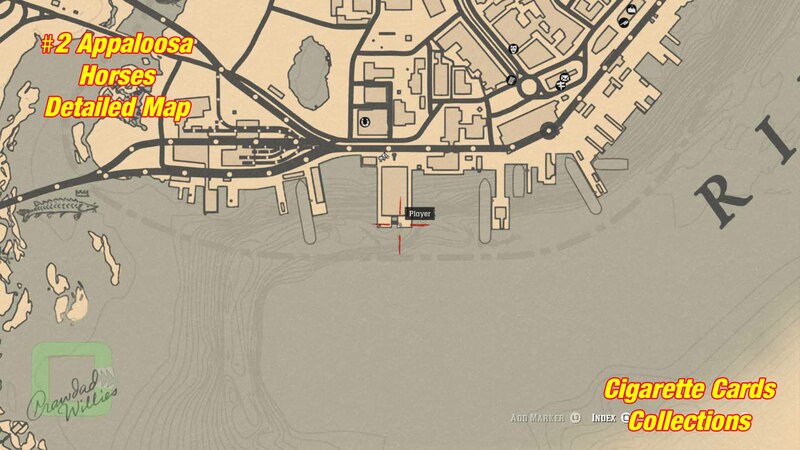 There is a big dock at the south. 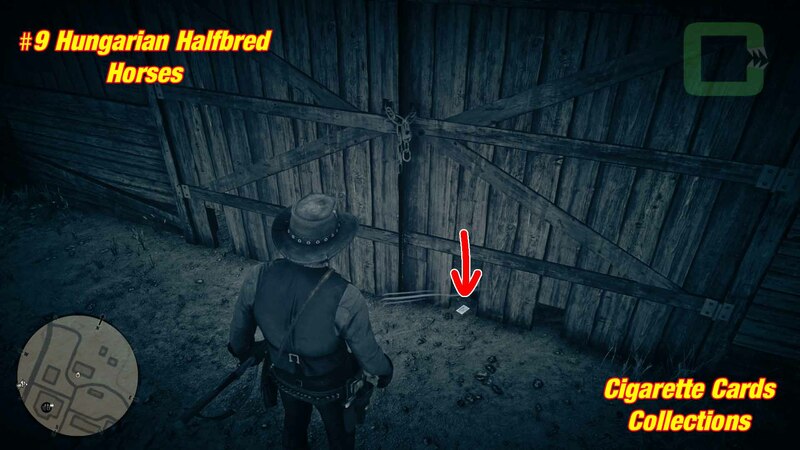 The card is there at the end on a barrel. 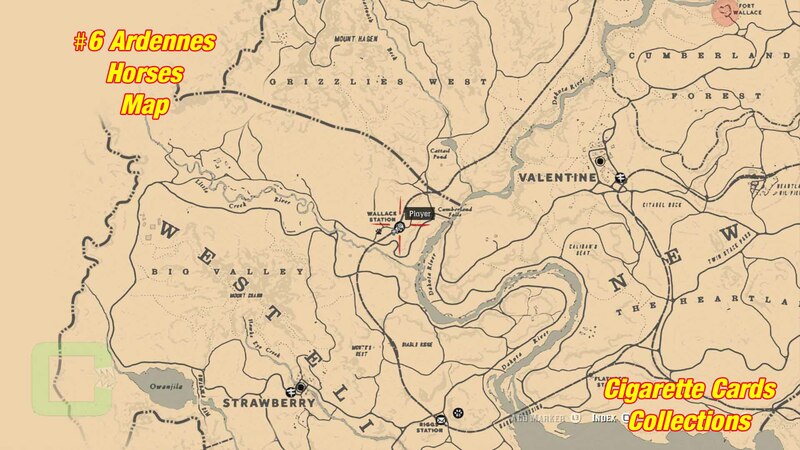 The card is located between Strawberry and Valentine. Inside a barn of a farm at the shelf. 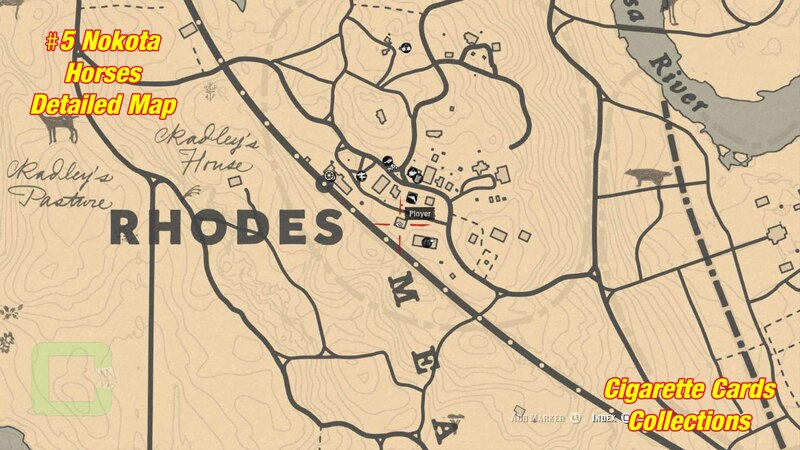 The card is located in Rhodes. 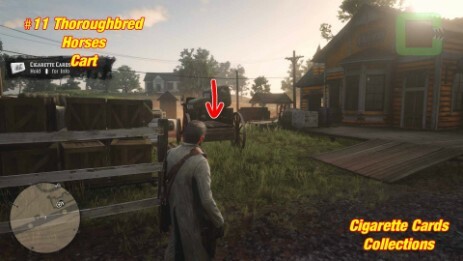 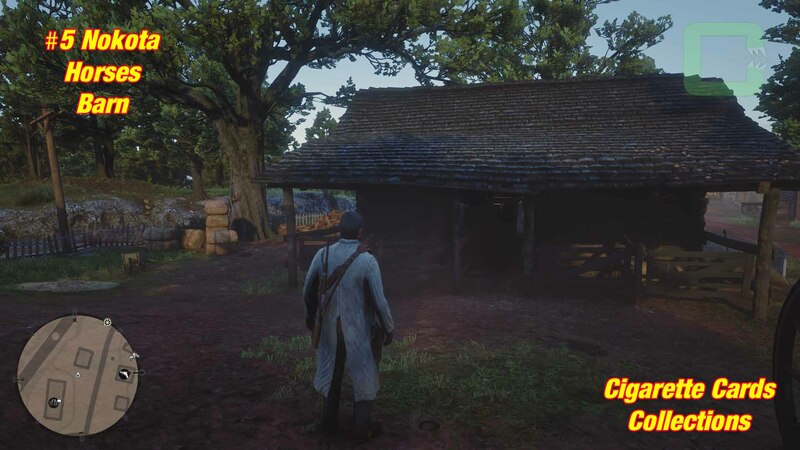 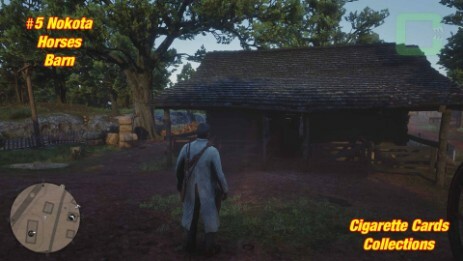 Next to the saloon is a barn. 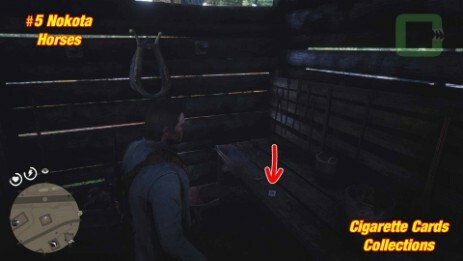 Inside, on a table is the card. 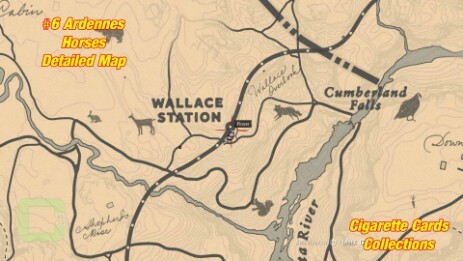 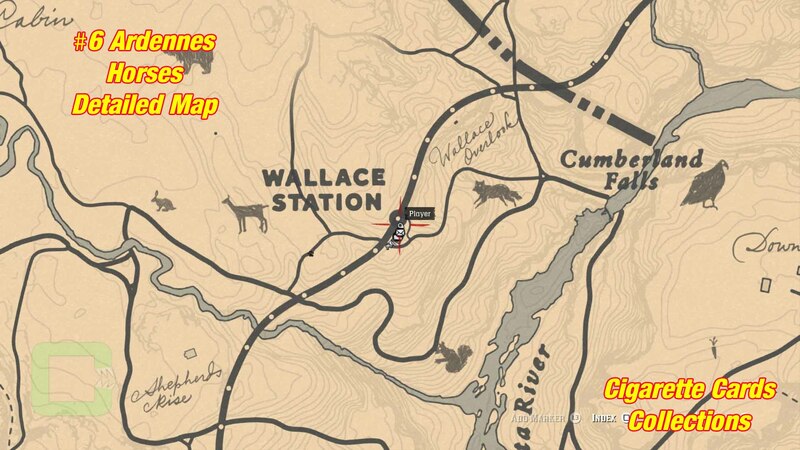 The card is located at Wallace Station between Strawberry and Valentine. There is a shelf outside at the station. 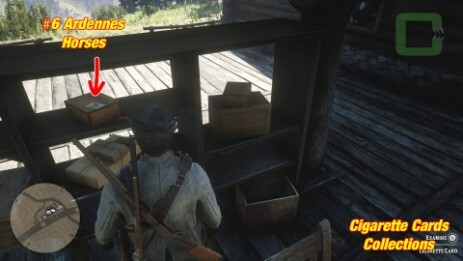 It's there at the top of the middle section. 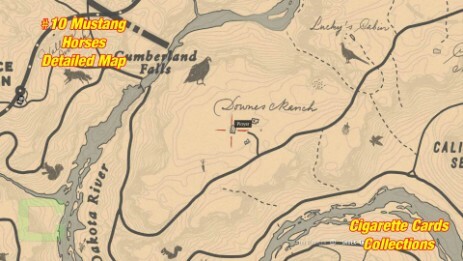 The card is located southwest of Valentine at Downes Ranch. 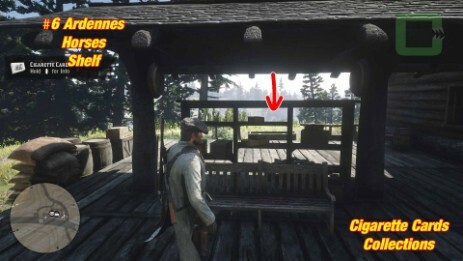 It's in the house at the fireplace. 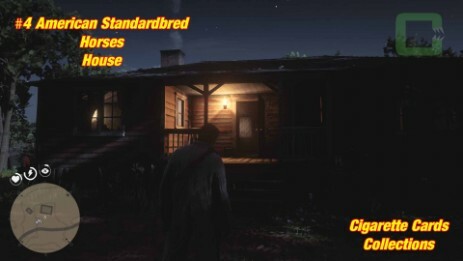 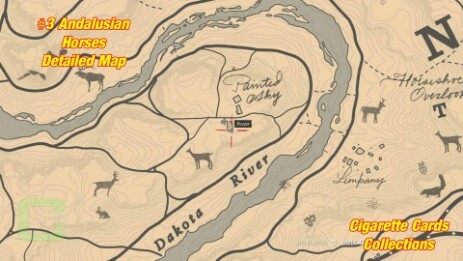 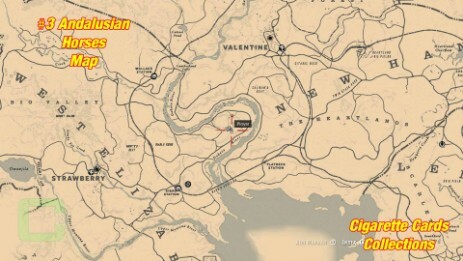 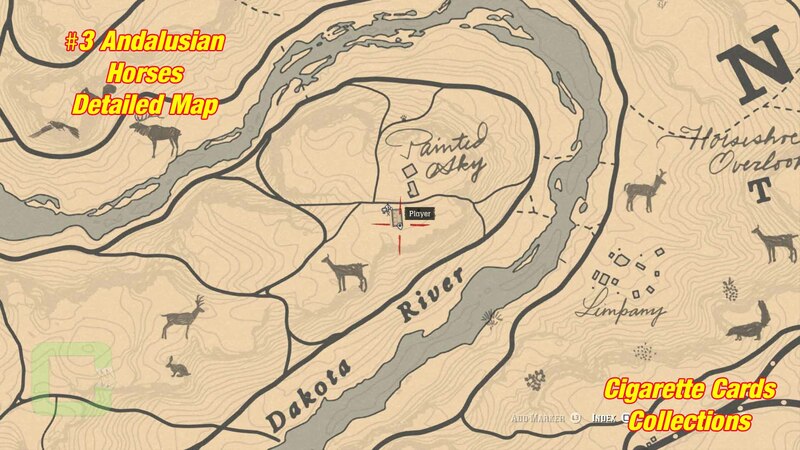 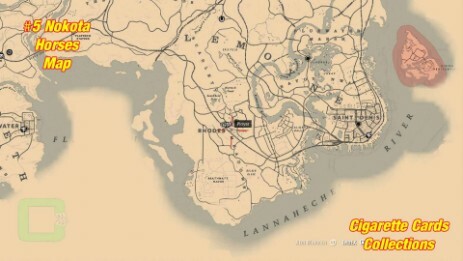 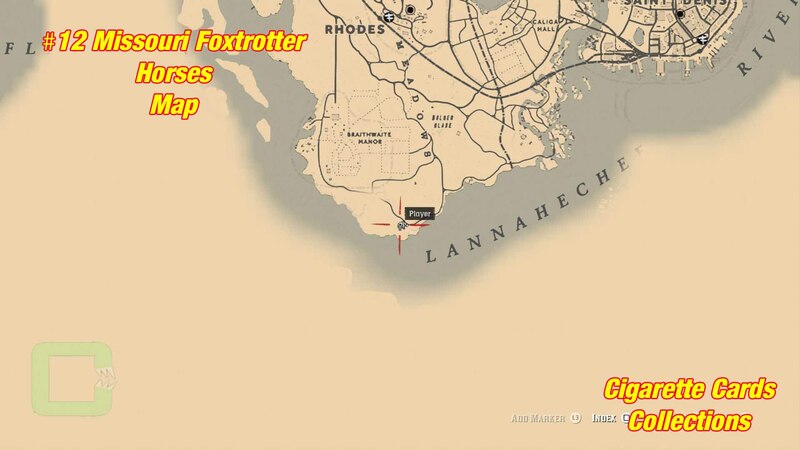 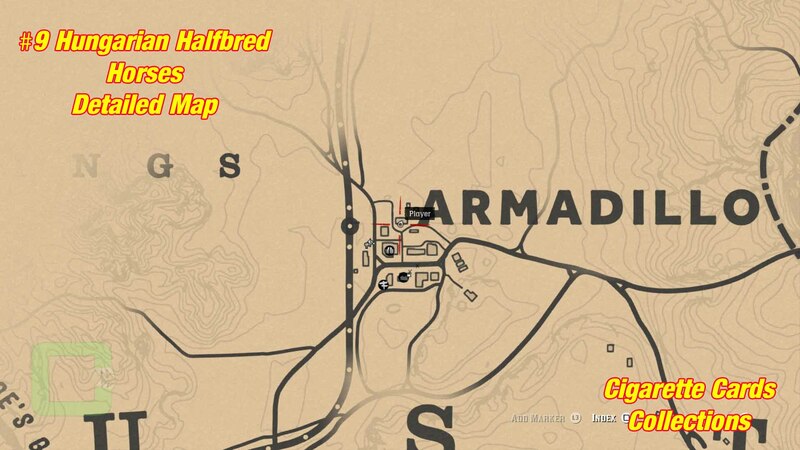 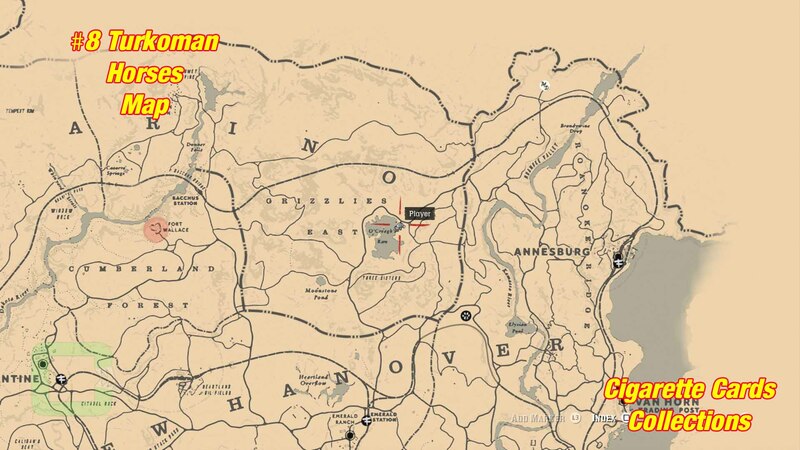 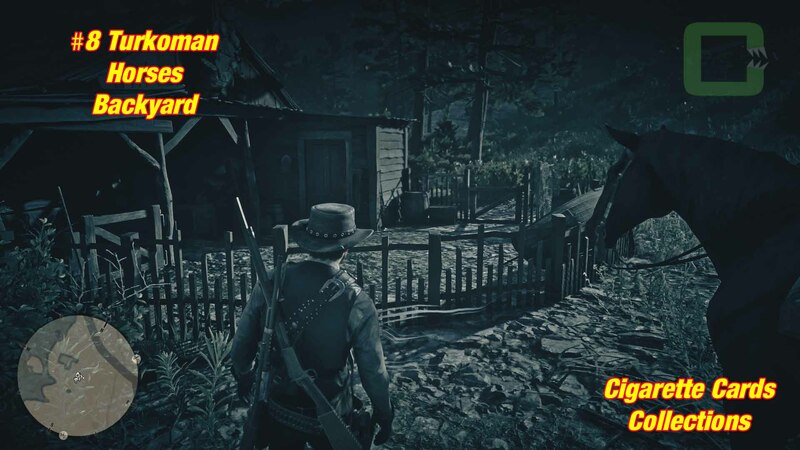 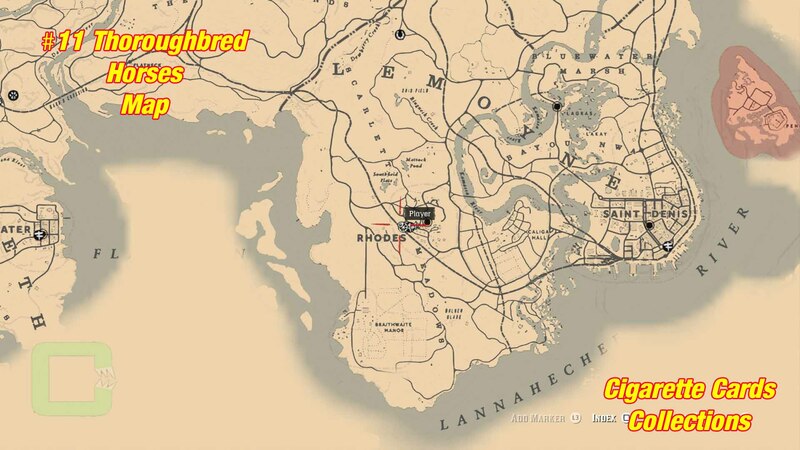 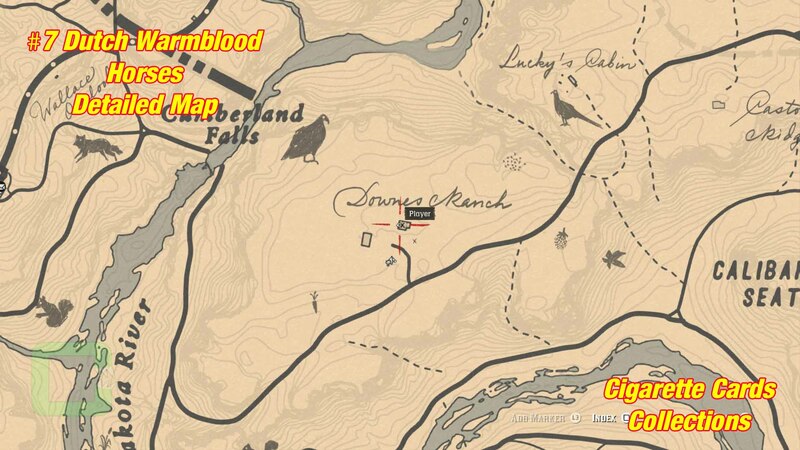 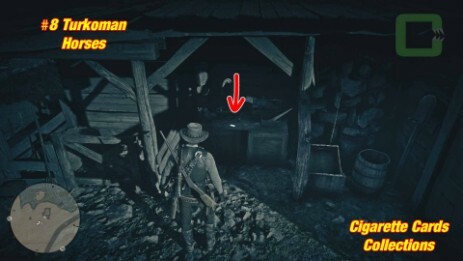 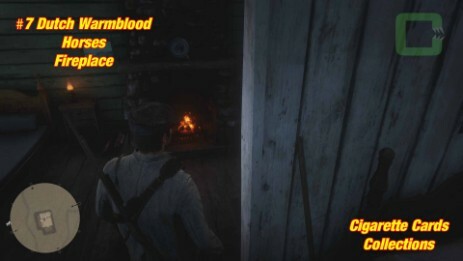 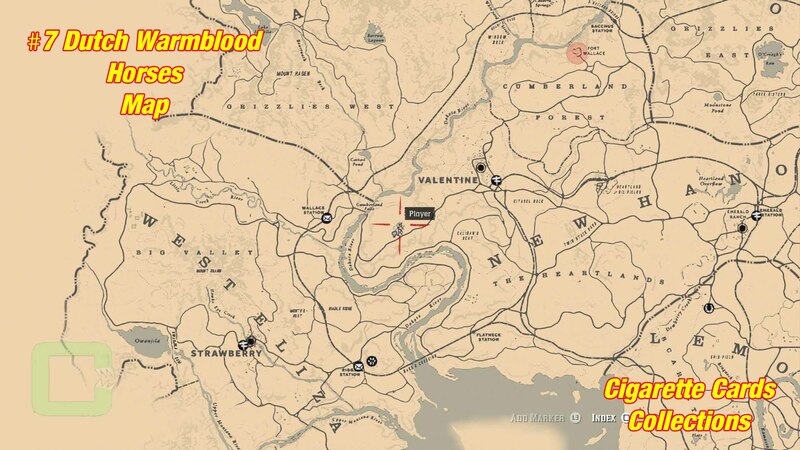 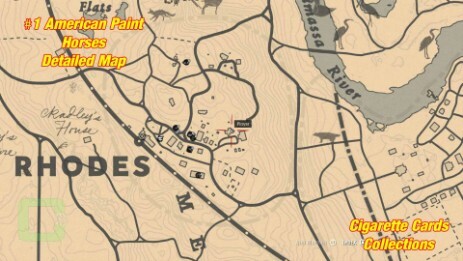 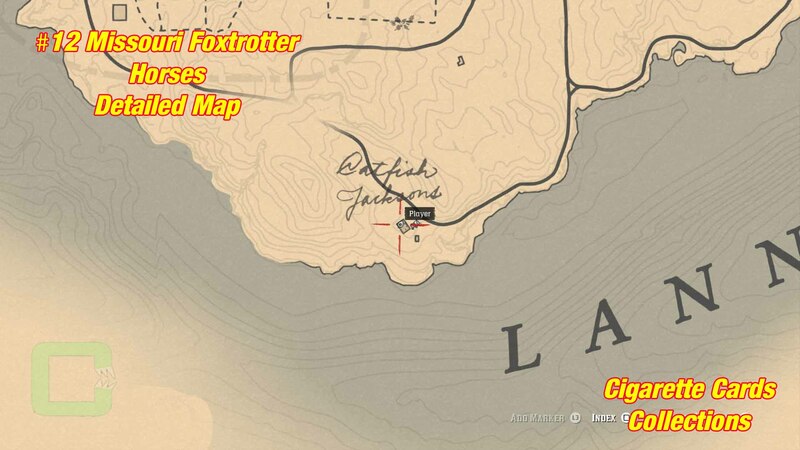 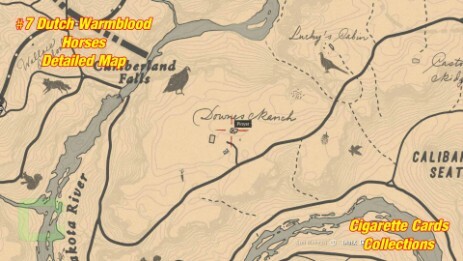 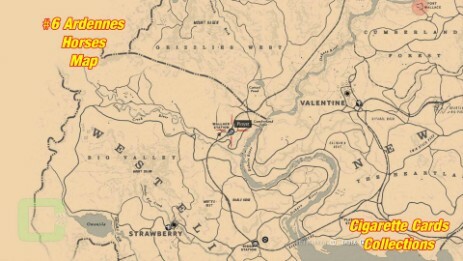 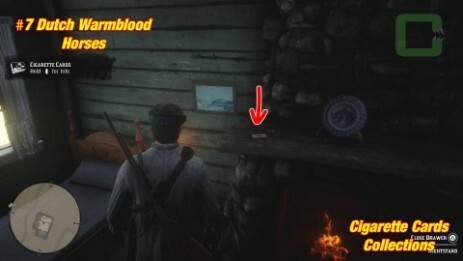 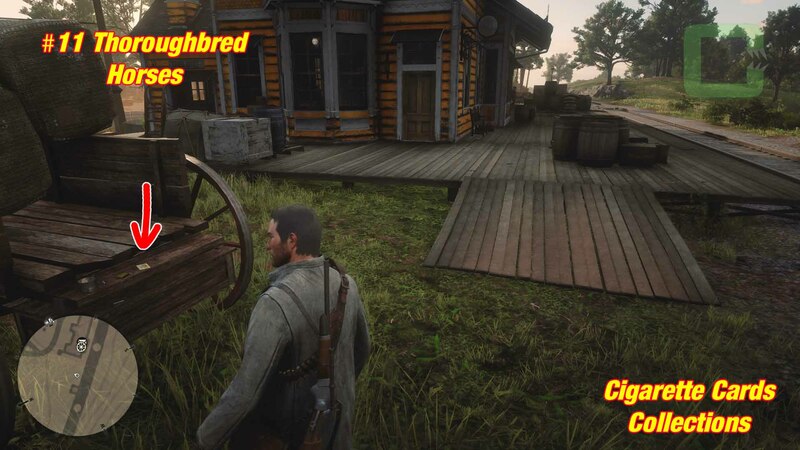 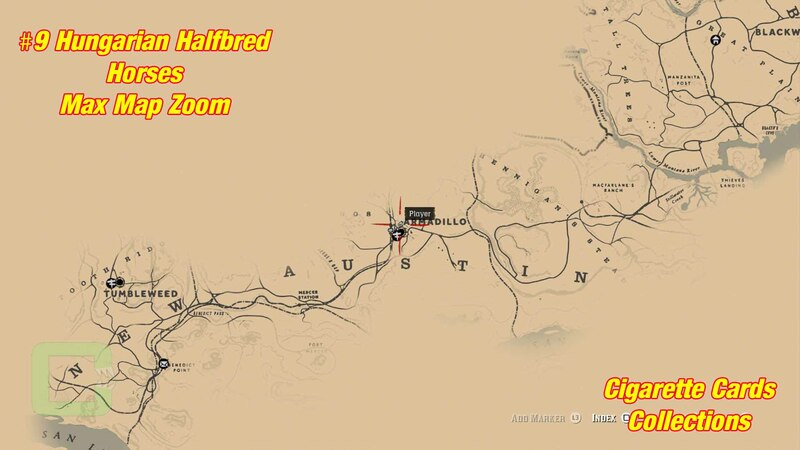 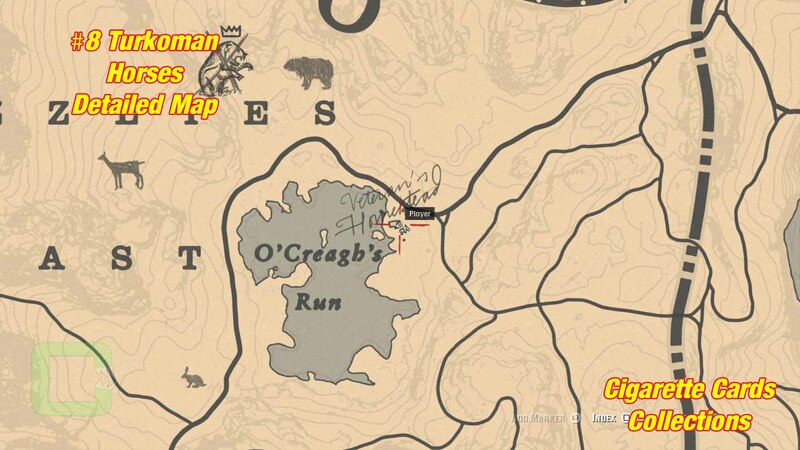 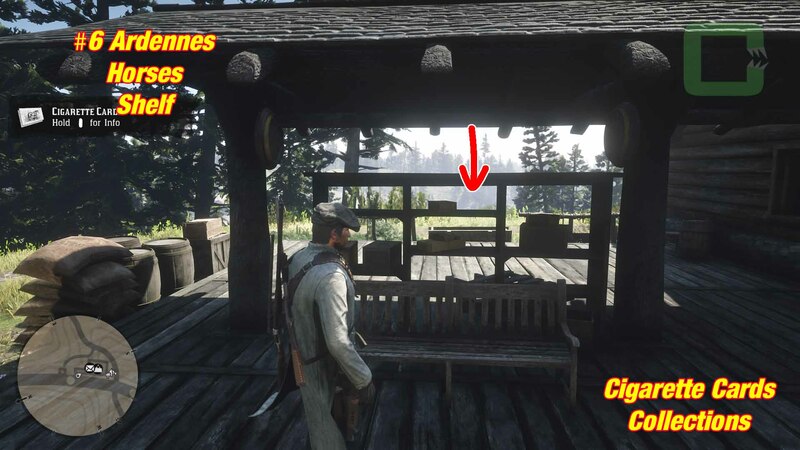 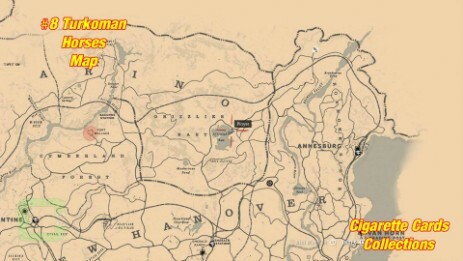 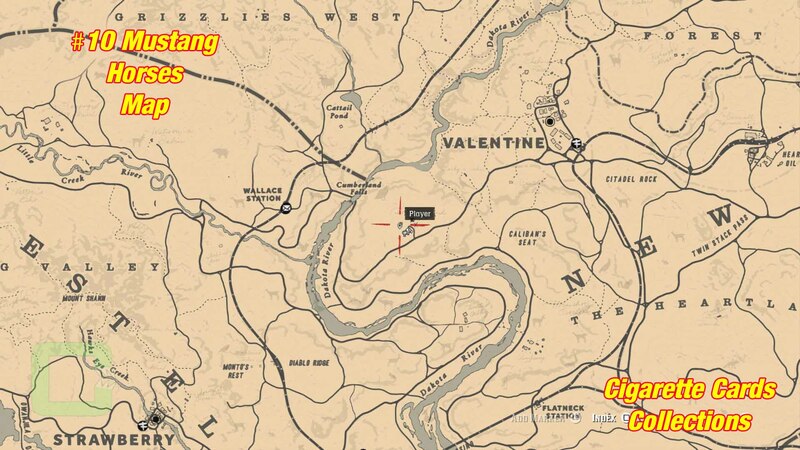 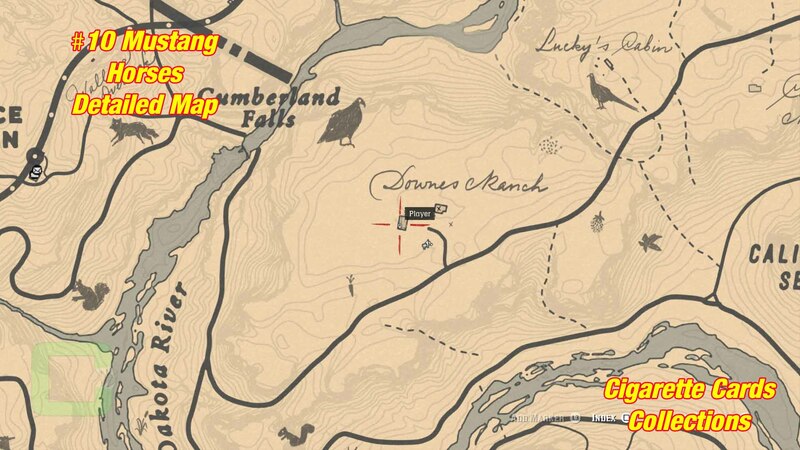 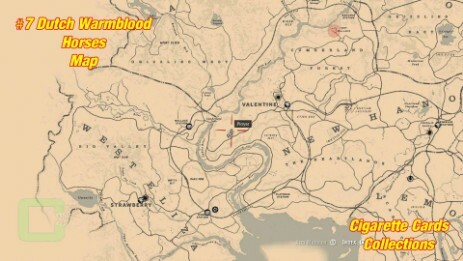 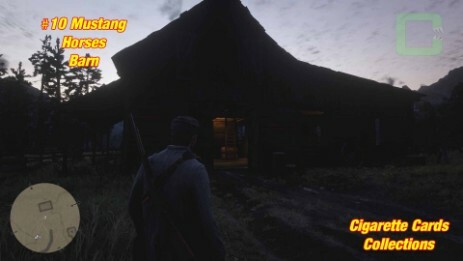 The card is located at Veteran's Homestead at O'Creagh's Run west of Annesburg. It's in the backyard of the cabin on a table. The card is located in the Armadillo town. 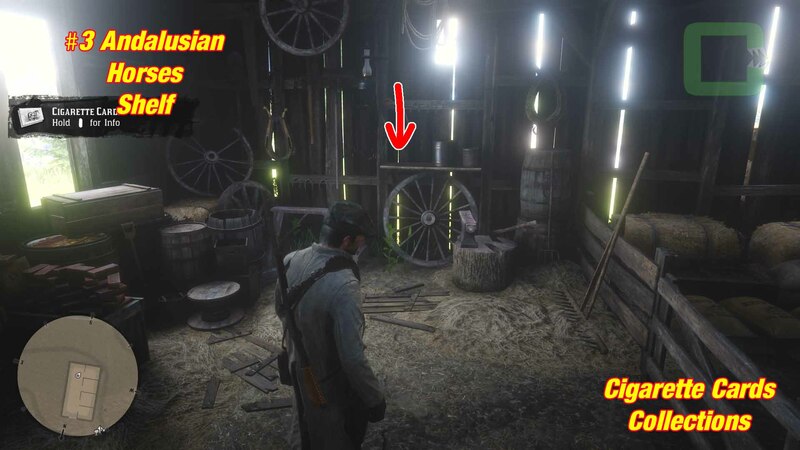 In the north of town is an abandoned blacksmith. The closed gate has 3 holes at the bottom. The card is in the biggest. 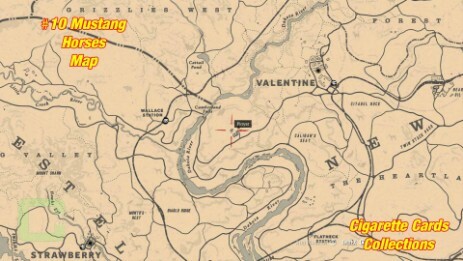 The card is located southwest of Valentine at Downes Ranch. It's in the barn at the upper floor on a hay bale. 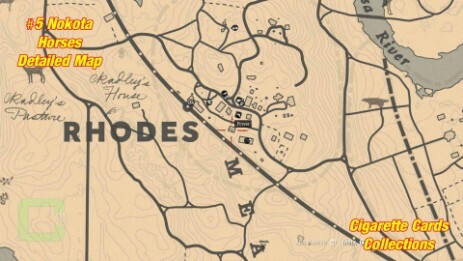 The card is located in Rhodes. 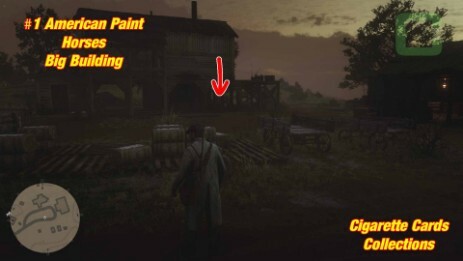 Next to the train station, outside, there is a cart with cotton wool bales. 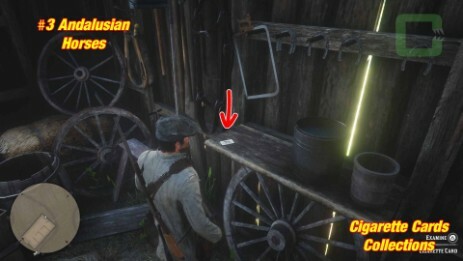 The card is at the back of the cart.